Squadra Venezia's Nick Santhiago, Dillon Chapman, & Tim Walsh with Christian Pulisic. 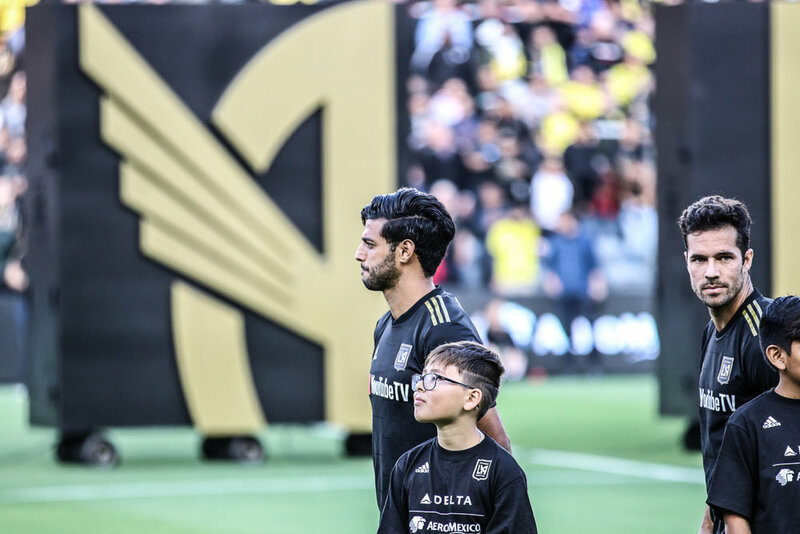 May 22, 2018 marked an exciting new chapter in LA soccer. 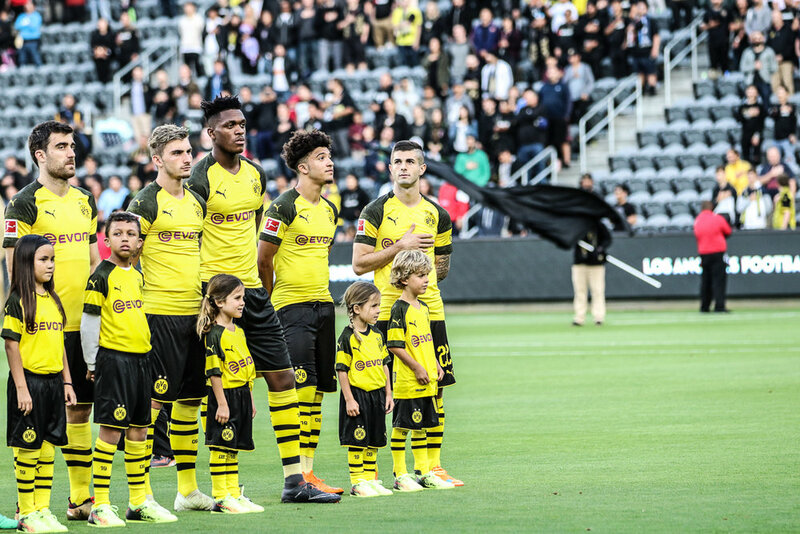 The German side's post-season trip to Los angeles to play LAFC marks the first time The Banc of California stadium has hosted an international opponent. The atmosphere and energy within the stadium was unlike any other venue in America. 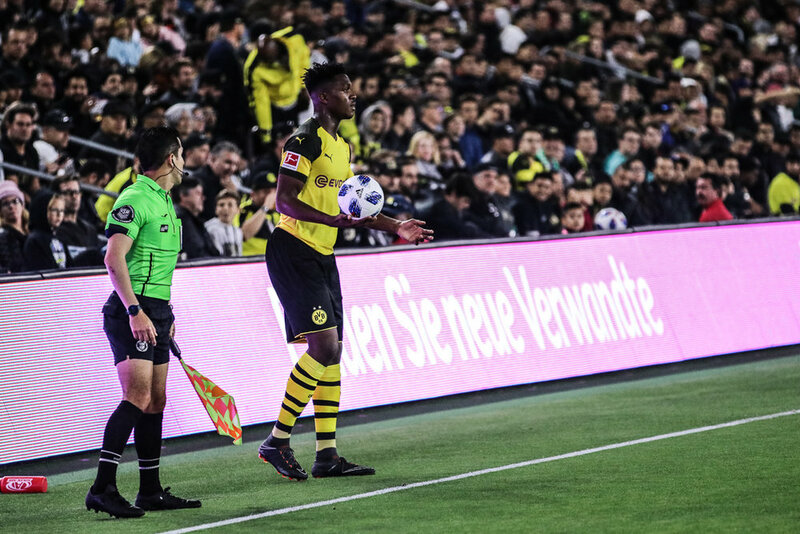 There is something special and nostalgic about the newest & most expensive soccer specific stadium in America - something almost european. 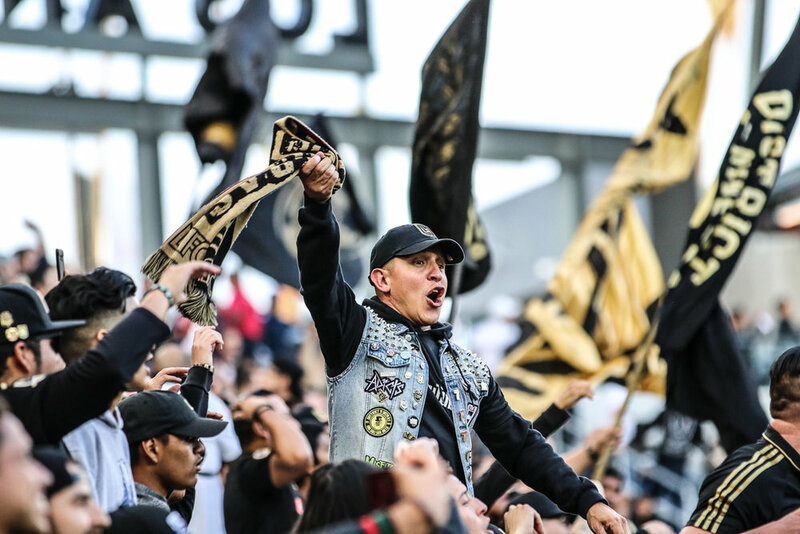 most of the credit must go to the LAFC supporters however, who were not only strong in numbers, but also sang through out the whole match. We had one of our very own on the sidelines, Ben Green (@ben_green_) - local midfield hero and super talented photographer. 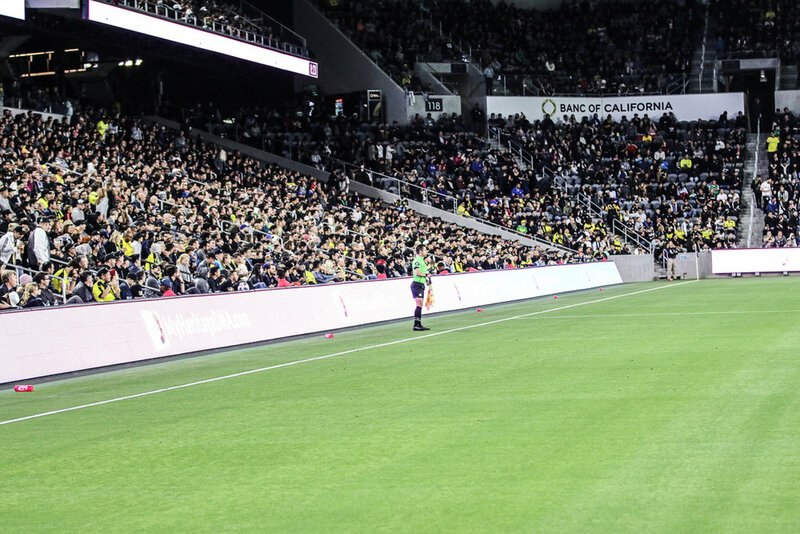 Check out the sights of the match below which ended 1-1, with two late second half goals.